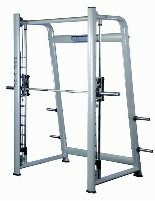 Training on machines in addition to training with the own weight, free weight training or barbell training is recommendable. Shoulder muscles are very important to achieve good performances in many different kinds of sport e.g. for athletics. Of course training these muscles is also important for strength training. 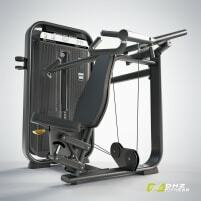 There are specific training machines for the different parts of the shoulders and the various muscles, e.g. the shoulder press for the training of the front muscles or the lateral raise machine to strengthen the lateral muscles. 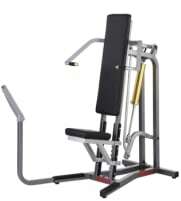 A new or used shoulder press is a strength training machine. Most of them provide extra-large comfortable grips with various possible grip positions which are suitable for most athletes. The seated paddings can be adjusted to the size of the training person and ensure the optimal body posture. The counterpart to the classic shoulder press is the front press and means the training with barbells and weights. Both exercises are good possibilities to train the muscles. 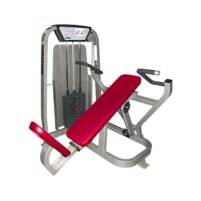 The athlete pulls the chosen weights on the arm of the machine and adjusts the seat to the correct position. 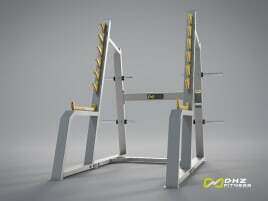 The training person sits upright on the padding of the new or used shoulder training equipment and the feet stand firm on the ground while the hands are on the same height as the neck. Then the hand grips are pushed upwards until the arms are nearly stretched. 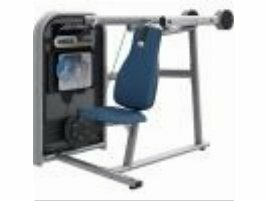 Prospective customers have the opportunity to use some search criteria to find the perfect new or used shoulder training equipment. Only ads with a near item’s location can be viewed by using the radial search. Even if the training equipment is located in a far distance, delivery can be managed. 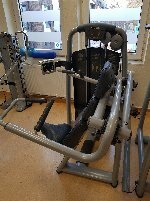 In the service area on fitnessmarkt.com you can find several professional providers which offer transport from one place to another. 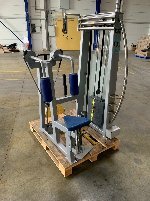 New and used shoulder training equipment can be sold on fitnessmarkt.com quickly and easily by creating an ad in just a few steps. 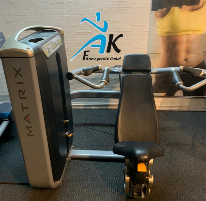 As those ads reach a large number of prospective buyers, it is recommendable to include a detailed description of the new or used shoulder training equipment and upload some pictures of the training machine, so the possible customers have all necessary information just at a glance. 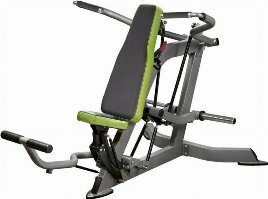 If you need some instructions on how to do the exercises correctly, find useful training tips for shoulder training equipment in the fitnessmarkt.com magazine.